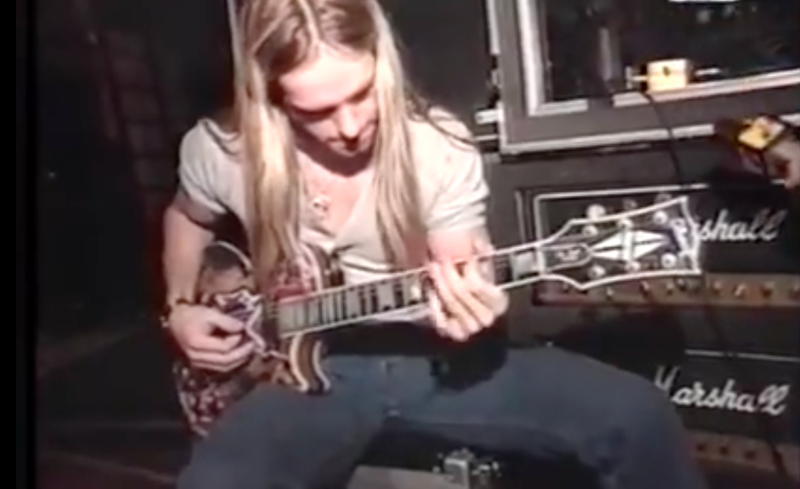 Wylde, who was 24 at the time, was touring in support of Ozzy Osborune’s sixth studio album, No More Tears. In the clip, which you can check out below, Zakk talks about some of his early influences, what it was like starting out with Ozzy and his opinions on having the ability to read music. Midway through the clip, there’s a closeup demo of his “chicken pick’n” technique, which shouldn’t be missed. Around this time, Wylde was about to begin work on his own solo project, which would become Pride & Glory. Ozzy, his current employer, had expressed his fatigue with the music industry and proclaimed that this particular run of shows—which was cleverly dubbed the “No More Tours” tour—would be his last. Very cool stuff. Interesting bonus was hearing him sing No More Tears. I wish he still sang like that.